In Mozambique, thousands of AIDS orphans have been taken in by neighbors or by extended family members. Most of these families live in flimsy, makeshift dwellings in the middle of some of worst slums in Maputo or Gaza Province. They might own a single bed, but most sleep on the floor. A cramped, suffocating situation like this only becomes worse if the family takes in additional orphaned children. 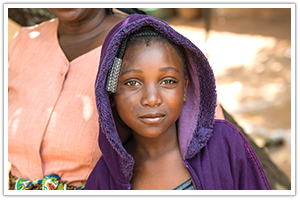 Cross Catholic Outreach is partnering with a local ministry called Association Cross Mozambique (ACM) to improve these families’ living conditions. Your gift will provide a needy family with a sturdy new concrete-block house plus a sanitary latrine. Please – help us address this urgent need by contributing to the ACM Housing Ministry. Click here for more info or donate now below.